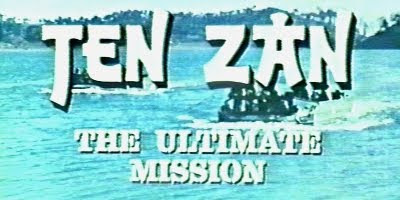 Surely one of the few Italian/North Korean co-productions, Ten Zan, despite it's obvious limitations, gives an enjoyable, sub-Wild Geese viewing experience. Journeyman director Ferdinando Baldi teamed up with a then up and coming Frank Zagarino and Cannibal Terror's Sabrina Siani plus an incomprehensible plot featuring deer extract and Nazi-style villains. The budget was obviously large, and the action is fairly well staged, as is to be expected from an experienced old hand like Baldi. The cast, especially Zagarino, throw themselves into proceedings, and any shortcomings in the plot, of which there are many, are glossed over by the next set-piece. Unsurprisingly, given the financiers, North Korean culture comes across as quite tempting, and if film-loving, Hans Blix-hating Kim Jong Il has a favourite action movie, this must be it.